Joel Silver (born July 14, 1952) is an American film producer, most well known for action films including the Lethal Weapon series, The Matrix trilogy, the first two Die Hard films and the first two Predator films. Some of his best-known films also include 48 Hrs., Commando, Jumpin' Jack Flash, Demolition Man, Romeo Must Die, Cradle 2 the Grave, V for Vendetta, Orphan, Sherlock Holmes. He also produced the critically acclaimed mystera drama Veronica Mars. South Orange, New Jersey, U.S. He is the owner of Silver Pictures and co-founder of Dark Castle Entertainment. Silver was born and raised in South Orange, New Jersey, the son of a writer and a public relations executive. His family is Jewish. He attended Columbia High School in Maplewood, New Jersey. During his time there, Silver, Buzzy Hellring and Jonny Hines created the rules for what he called "Ultimate Frisbee." He was later inducted into the USA Ultimate Hall of Fame as a result of this. He finished his undergraduate studies at the New York University's Tisch School of the Arts. Silver began his career at Lawrence Gordon Productions, where he eventually became president of motion pictures for the company. He earned his first screen credit as the associate producer on The Warriors and, with Gordon, produced 48 Hrs., Streets of Fire, and Brewster's Millions. In 1985, he formed Silver Pictures and produced successful action films such as Commando (1985), the Lethal Weapon franchise, the first two films of the Die Hard series, as well as the first two films of the Predator series and The Matrix franchise of action films. Silver appears on-screen at the beginning of Who Framed Roger Rabbit as Raoul J. Raoul, the director of the animated short Something's Cookin. Silver directed "Split Personality", (1992), an episode of the HBO horror anthology Tales from the Crypt. He currently runs two production companies, Silver Pictures, and Dark Castle Entertainment, co-owned by Robert Zemeckis. Silver is also known for his eccentric temper, which has led to characters based on him appearing in movies such as Grand Canyon, True Romance and I'll Do Anything. The character of Les Grossman (played by Tom Cruise) in the movie Tropic Thunder, is a parody of Silver. On July 10, 1999, Silver married his production assistant, Karyn Fields. Silver is well known as an aficionado of architect Frank Lloyd Wright. In 1984, he bought the Wright-designed Storer House in Hollywood and made considerable investments to restore it to the original condition. The Storer House's squarish relief ornament then became the company logo of Silver Pictures. Silver sold it in 2002 for $2.9 million. In 1986, he purchased the long-neglected C. Leigh Stevens Auldbrass Plantation in Yemassee, South Carolina, and has been restoring it since then. Both restorations have been managed and supervised by the architect Eric Lloyd Wright, Frank Lloyd Wright's grandson. Mr. Silver also owns the 1941 Lincoln Continental once customized to Frank Lloyd Wright's design. In August 19, 2015, Silver's 28-year-old assistant Carmel Musgrove drowned in a lagoon while attending a celebration with Silver in Bora Bora, on the occasion of the marriage between Jennifer Aniston and Justin Theroux. Later, in August 2017, Musgrove's family sued Silver and his assistant Martin Herold, arguing the latter had provided her with cocaine, which contributed to her death, together with alcohol consumption and exhaustion from work. ^ James, Clive (2009). The Blaze of Obscurity. Pan Macmillan Publishers Ltd.
^ ""Founders (Class of 2005)"". USA Ultimate. Retrieved July 4, 2016. 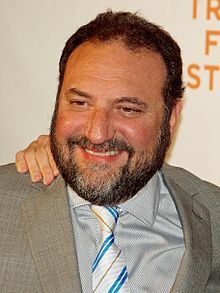 Wikimedia Commons has media related to Joel Silver.